Development started on Drupal 8 features back in March of 2011. Since then, the developer and application framework world has looked forward to the outcomes of every development, feature completion, clean-up, API completion, beta, and release candidate (RC) phase with baited breath. In November of 2015, Drupal 8.0.0 was released. Sighs of relief turned to curious murmers—what's this all about? Drupal 8 takes an already terrific content management framework to ever greater heights for users, administrators, and developers. There's a seriously sharp focus on user-friendliness, but content presentation, new ways to create data structures, build APIs, multilingual capabilities, and the delivery of mobile accessibility out of the box? Drupal 8 brings those to the table too. While Symfony 2 powers the Drupal 8 backend, a lighter and faster core offers tons more capabilities for modules and themes. Plus, the Drupal 8 migration and the onward curve is significantly reduced. 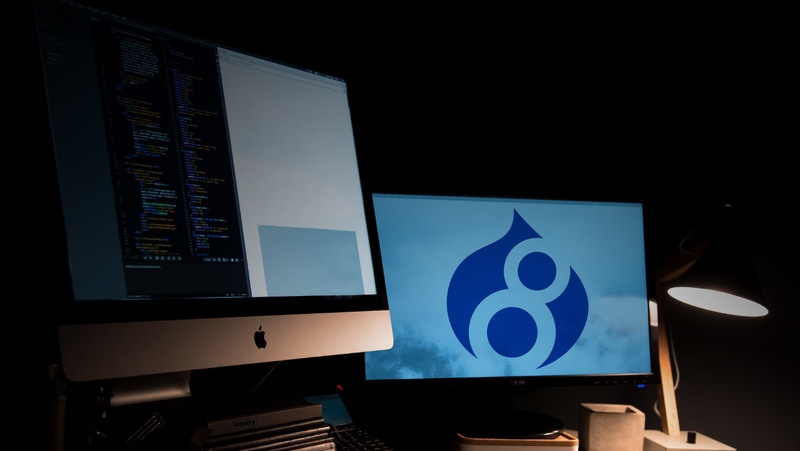 These changes and more are key reasons to consider that switch to Drupal 8. Drupal 8 includes a brand new theming engine called Twig, which is PHP-based, flexible, fast, and secure. It's much easier to create beautiful and more functional Drupal websites using Twig, as its templates are written in a syntax that's less complex than a PHP template or others while being more secure. Drupal 8 is mobile first in its approach. All the built-in themes that come with Drupal 8 are responsive, along with an admin theme that adapts to different screen sizes, and a ‘Back To Site’ button to go back to the front page. Tables fit into any screen size without a hitch, and the new admin toolbar works well on mobile devices. HTML5 is now more or less the de facto standard when it comes to writing web markup. The same is now available natively in Drupal 8, giving you access to input fields like date, e-mail, phone, etc., and even more functionality and compatibility with mobile and handheld devices. Drupal 8 boasts extensive multilingual features right out of the box. The admin interface has built-in translations. You can also create pages with language-based Views filtering and block visibility. Translation updates from the community are automatically facilitated. Drupal 8 has configuration management built into it at the file-system level so that carrying over configuration elements (like content type, views, or fields, etc.) from local development to the server is a breeze. You can use a version-control system to keep track of configuration changes. Configuration data is stored in files, separate from the site database(s). New Drupal 8 features bring unprecedented power into the hands of the Content Editor, with WYSIWYG editor CKEditor now bundled with the core. However, the most touted improvement remains the in-place editing capability that Drupal 8 will afford users, a result of the Spark Initiative. Site and content creators or editors can edit text on any page without having to switch to the full edit form. Drafts are now much easier to create, and web security is now better implemented as a result. There's something great about seeing something that needs changing and having the ease of access to change it—directly and quickly. Now Quick Edit is a backport of the Drupal 8 in-place editing for Fields. So if you're logged into Drupal content is in front of you, edit the text directly for quick fixes and additions from the front-end. Views sit high up in the Drupal module hierarchy, as it is an integral part of most website projects, and a lot is pretty much impossible without it. Site designers have used use this hitherto-contributed module to output galleries, maps, graphs, lists, posts, tables, menus, blocks, reports, and what-have-you. With this Drupal 8 feature, Views is part of and firmly integrated with the core. The front page and several administration pages are now Views, and users will now be able to quickly create pages, blocks, admin sections, etc., and modify existing ones just as effortlessly. Drupal 8 has excellent support for industry standard accessibility technologies, like WAI-ARIA. ARIA Live Announcements API and TabManager are significant improvements in Drupal 8, which provide control for rich Internet applications. Bells and whistles like better font sizes, tweaked color contrasts, jQuery UI’s autocomplete, and modal dialogs go a long way towards making Drupal 8 a breeze to use. Drupal 8 now makes it possible to use itself as a data source, and output content as JSON or XML. You can even post data back to Drupal 8 from the front end. Hypertext Application Language (HAL) is implemented in Drupal 8 and makes exploitation of web service capabilities less painful. Drupal 8 ships with bucket-loads of field types in the core, thus taking its content structure capabilities up a notch. New field types like entity reference, link, date, e-mail, telephone, etc., aid content creation, and now you can attach fields to more content types, as well as create custom contact forms by attaching fields to them. Now the descriptive text is right under the help link. Users can click and then take the tour; pop-ups appear, explaining how this all works, one of the most helpful Drupal 8 features to newcomers. This user-friendly boost is well-received as it's making the CMS easier for everyone to understand. Drupal 8 aligns with the latest PHP 7 standards like PSR-4, namespaces, and traits, and uses top notch, outstanding external libraries like Composer, PHPUnit, Guzzle, Zend Feed Component, Assetic to name a few. Meanwhile, underlying Drupal 8 features modern, object-oriented code that's the order of the day, by Symfony 2. With Big Pipe part of Drupal core, developers can optimize the site load performance for the end-user significantly. While this feature has nothing to with actual performance and is only perceived, it's a great feature to have since the end user is able to see a difference in site load times. Enough Drupal 8 features to think about? These 16 Drupal 8 features are some of the most important reasons that this upgrade is so worth celebrating; it's the collective work of over 3,000 contributors. But more importantly to you, this might be that big, bright answer you've been searching for. This article was originally published in July, 2014. It has since been updated. Looking For Help With Drupal 8?